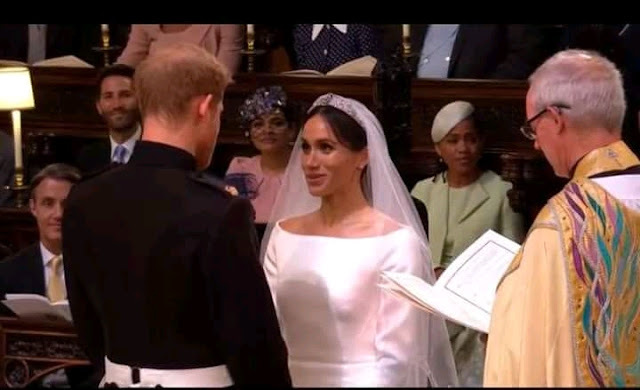 At exactly 12 noon West African Time Zone, American actress Meghan Markle marched into the church in all her regal glory, to be joined together with her beau, Prince Harry. As Meghan said ‘I do,’ sealing her union with her Prince, the American celebrity becomes a British Royalty. Nigerian ladies this should serve as an eye opener, no aso ebi, Meghan had no heavy make up on, no heavy jewelry or blings. Should I shock you? Only 200 guests were invited for the reception. Grace spoke for this young lady after being divorced. I am not encouraging divorce, but who says you should endure a marriage where you are being assaulted? And to those parents who give outlandish marriage item list to potential suitors, weldone! Watch her till she turns 40 in your house.